Many people think divorce only happens among the young, but that’s just not the case. In fact, a recent study showed that between 1990 and 2009, the divorce rate among older adults actually doubled, and that in 2009, about one in every four divorces occurred to people over the age of 50.
often mishandled (since many lawyers don’t have sufficient expertise in this area). Retirement funds added during the marriage are typically treated as marital property. While you are married, it’s only natural for you and your husband to plan for retirement together. Contributions to 401K are made via deductions from salary, pension plan benefits are a function of years on the job and salary earned, and it makes perfect sense that you start “counting on” that money for when you and your husband reach your Golden Years. Obviously, divorce changes every one of those plans and requires the careful scrutiny of all retirement accounts. See my earlier post more details about the differences between marital and separate property. Any retirement assets that qualify as marital property can be divided, but the process by which these funds are divided depends upon a number of factors. For starters, the court must adhere to federal guidelines when dividing funds in 401(k), 403(b) and other similar types of plans, but state laws dictate how IRAs are divided. It’s critical that your divorce settlement agreement clearly spells out how the assets are split and how those funds will be transferred. 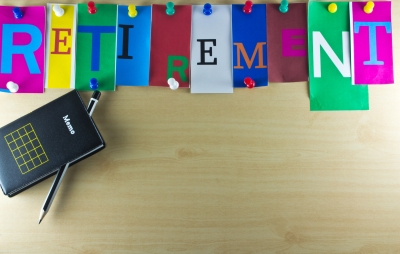 There are even more thorny issues to contend with when you need to divide a pension plan. Division of a 401K plan and many pension plans require a Qualified Domestic Relations Order (QDRO). If your divorce settlement agreement states that you will divide a pension and/or 401K plan, a court must order a Qualified Domestic Relations Order, commonly abbreviated as QDRO. (Note: A QDRO is not necessary to divide an IRA or a SEP. Also, military pensions, federal, state, county and city retirement plans have their own rules regarding division during divorce.) A QDRO will instruct the plan administrator on how to pay the non-employee spouse’s share of the plan benefits. A QDRO allows the funds in a retirement account to be separated and withdrawn without penalty and deposited into the non-employee spouse’s retirement account (typically an IRA). Many women –and some attorneys, too! –often make the mistake of assuming that their divorce settlement agreement will fully protect their rights to their portion of a husband’s retirement account. This is usually not the case, and that’s why it’s critically important to use a properly prepared QDRO. The QDRO must be completed and presented to the pension plan well before your divorce is finalized. Let’s imagine a scenario in which the divorce has been finalized, and the QDRO requires the pension plan to pay an immediate lump sum amount to the non-employee spouse (typically the woman). And let’s further imagine that the non-employee spouse was relying on that lump sum payment to pay legal fees and other immediate expenses. The reality is that many pension plans will not pay a lump sum amount and will only pay the non-employee spouse on a monthly basis for life starting at around retirement age, which could be many years in the future. Under these circumstances, the QDRO requesting the immediate lump sum payment would be rejected by the pension plan. If that’s the case, the spouse who was counting on receiving immediate cash to pay their legal fees and other bills is in for a major disappointment. Since the divorce has already been finalized, the non-employee spouse cannot go back to the court and request some other property (cash, stocks, etc.) that would have an equivalent value to that anticipated lump sum payment. The non-employee spouse is now out of luck and may have to wait decades to start collecting their share of the monthly pension payments. On the other hand, if the QDRO was completed and presented to the pension plan well before the divorce was finalized, the non-employee spouse could have negotiated a different settlement with more cash, for example, once they found out that an immediate lump sum payment from the pension would not be possible. Another disastrous scenario would be if the employee spouse dies between the time the divorce was finalized and the approval of the QDRO by the pension plan. After the divorce, the employee-spouse would be considered single and his/her monthly pension payments would be calculated on a single life basis. Therefore upon the death of that employee spouse, any payment obligations of the pension fund would disappear. The non-employee spouse would not be entitled to anything. Once again, this problem could be avoided by making sure that the QDRO was completed and presented to the pension plan well before the divorce was finalized. A QDRO specialist will help you avoid costly mistakes. Because QDROs are so complicated to prepare, most attorneys outsource their preparation to a QDRO specialist. If you’re divorcing, make sure this important step does not fall through the cracks, and that the QDRO is issued as close to the time of divorce as possible. Otherwise, you could jeopardize your standing, and under certain circumstances, you could lose all rights to certain retirement funds. Think Financially, Not Emotionally®, plan accordingly, and ultimately, achieve the divorce settlement agreement you need for a solid, stable financial future.